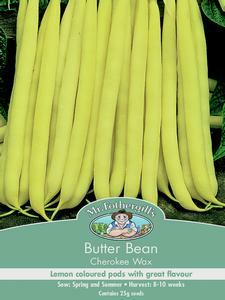 This popular dwarf variety makes strong and upright growth of good yields of fleshy, oval, lemon coloured pods with an excellent flavour. In summer they reach maturity in approx. 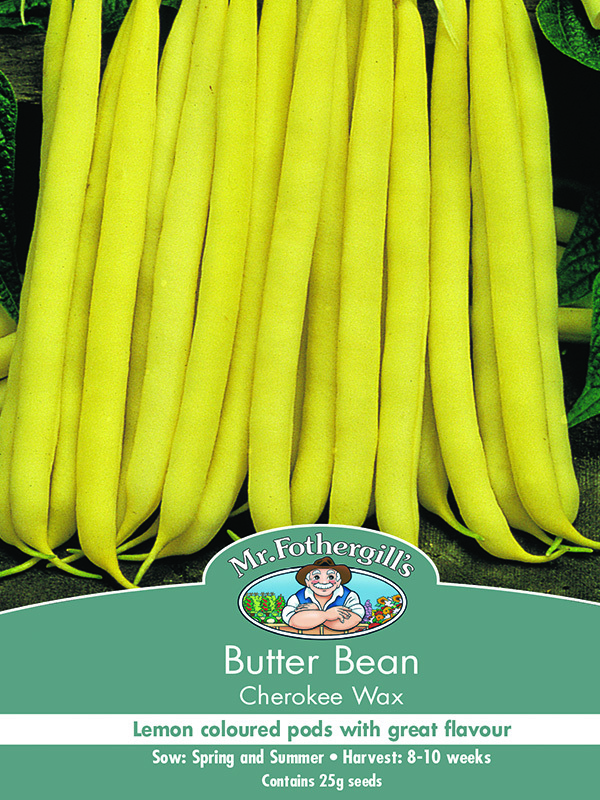 55 days and are easy to grow on most cultivated soils, preferring a sunny position. Sow vegetable seeds 25mm (1in) deep in dark damp soil - avoid watering for a day or two afterwards. Sow 7-10cm (3-4in) apart, allowing 50cm (20in) between rows. Ensure the danger of frosts has passed, and protect plants from wind. Plant in 3-5m (10-16ft) rows and remove weeks regularly. Water well during dry periods and spray flowers with a fine rose on your watering can, this will help the pods to set.